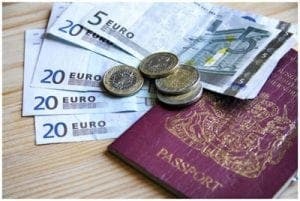 BRITISH tourists could be forced to pay for visas to visit Spain after Brexit, it has been revealed. The EU says the system ‘will apply to visa-exempt third country nationals,’ which Britons are set to become after Brexit cut off date on March 29, 2019. The move, which is said to ‘protect the European Union’s external borders’ to allow European Parliament ‘to stop those who may pose a threat to our citizens’, will see an end to free movement for British citizens between the 27 other EU nations. According to the Sun, if the proposals are voted in, Britons will have to pay €7 to apply for an ETIAS visa to Brussels authorities. An agreement was reached by the Bulgarian Council presidency and European Parliament representatives for the European travel information and authorisation system (ETIAS) on Wednesday. The EU announcement reads: “ETIAS will allow for advance checks and, if necessary, deny travel authorisation to visa-exempt third-country nationals travelling to the Schengen area. “The information submitted in each application will be automatically processed against EU and relevant Interpol databases to determine whether there are grounds to refuse a travel authorisation. “Before boarding, air carriers and sea carriers will need to check whether third country nationals subject to the travel authorisation requirement are in possession of a valid travel authorisation. The measure must be voted on in the European Parliament before being sent to the Council before it becomes law. Britons may be unaffected by the proposals if a special agreement is reached.